The name of the game in today’s world is speed. 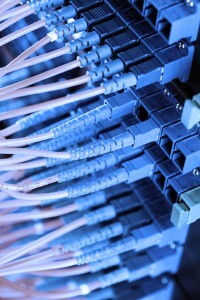 In an attempt to produce higher speed broadband connections to beat out the competition, many organizations do not effectively protect the internet connections. This leaves the system open to hackers and unauthorized users which is a risky endeavor. It leaves the system vulnerable to the stealing, or corruption of the data that is transmitted over the Internet or portable media system. That can lead to widespread corruption of all the networks that it touches. Also, not putting into place sufficient blocking of access to certain sites, is leaving whole systems open to corruption, and losing hours of productive workplace man hours. Network Virus and Malware although both destructive, they are not the same. Viruses and Malware are both significant threats to your computer system, as well as, your network system. Viruses work differently in that they are specific programs that attach themselves onto files, and applications, both on memory systems and on discs. There transmission can be made through infected email, harmless looking ads on website or by infected discs downloaded onto the system. Viruses are dangerous because they can lay undetected for long periods of time while they have time to corrupt many systems. They spread not only through computer operating systems, but also through internet connections. Malware is different in that its sole intention is to produce harm to computer systems maliciously. It is designed to infect a system without the knowledge of the owner. 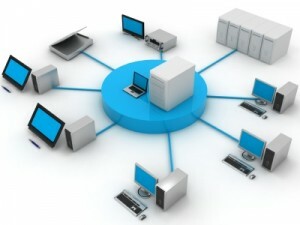 Firewalls protect the system against any Internet modifications, theft or infection of files or data, by detecting the passing of information from Wide Access Network (WAN), or the Internet to Local Area Network (LAN), or private computers. Targeting the passing of information to and from these avenues, they are a great way to protect any transference of data to other operating systems. Some even have the additional feature of remote access and additional data protection solutions, which make them a viable security system for organizations as a whole, or home use. Making sure to upgrade these systems as the technology changes and evolves is the best way to stay on top of any threats to your organizations security system. The threat of Virus and Malware does not stop with just your personal computer. The idea behind them is to cause as much destruction, in the least amount of time, as possible. Having the correct safety guards in place is the only way to protect your personal and business data. If you leave yourself open to threats in an attempt to make quicker connections possible, you are leaving yourself open to some pretty disastrous consequences.